Nashville Hookah Lounge Shootings Raise Security Questions; Can Victims Seek Justice, Compensation? Hookah lounges are often targeted for criminal activity given late hours of operation, typically low levels of lighting, and (frequently) impaired patrons. 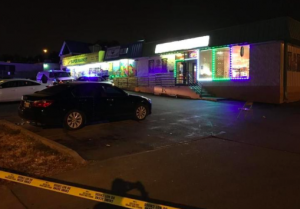 A rash of at least nine, apparently unrelated Nashville hookah lounge shootings over the past year have raised grave questions over security measures. Most recently, News 4 reports, a September 2018 shooting “at Tarboosh on the 100 block of 21st Avenue” left a man critically injured. May 14, 2017: A man was killed in a shootout in the parking lot of the infamous and now-shuttered Cloud IXin Inglewood. Dec. 30, 2017: Jason McClain, 30, was shot and killed in Cloud IX’s parking lot. Jan. 1, 2018: One person was injured in a shooting at Lebanon Nights on Charlotte Pike in West Nashville. Jan. 5, 2018: One person was injured in a shooting following a fight at Tarboosh in Midtown. Jan. 26, 2018: A man was shot and injured outside Arabian Palace. May 11, 2018: One person was killed in an apparent parking lot dispute outside Arabian Palace. June 8, 2018: One person was injured when someone fired a gun across Charlotte Pike and into a crowd outside Lebanon Nights. Tennessee hookah lounge patrons have a right to feel safe and secure while on the premises of the establishment they are visiting. By law, property owners are required to protect all patrons legally on the premises from any foreseeable harm. For example, should a hookah bar owner have knowledge of prior criminal activity on or near property, they have a duty to implement additional security measures to protect patrons and deter such crime. Should a hookah lounge owner fail in this critical responsibility, they may be held civilly liable for any injuries, sexual assaults, or wrongful deaths which occur as a consequence.